The Samsung Galaxy S4 looks almost identical to its predecessor but includes a better display, an improved camera and a huge amount of software features and functions, many of which are gimmicks. This is an excellent and overall outstanding smartphone, but there are a few annoyances. How do you improve one of the most popular Android phones on the market? If you're Samsung, you add a wealth of extra software features and a bigger and better screen, but keep largely the same design. This is the Samsung Galaxy S4. It looks almost identical to its predecessor but includes a better display, an improved camera and a huge amount of software features and functions, many of which you'll never use. The Galaxy S4 is an excellent and overall outstanding smartphone, but there are a few annoyances. Put the Galaxy S4 next to the Galaxy S III and you'll be hard pressed telling the difference. Put the Samsung Galaxy S4 next to the Galaxy S III and you'll be hard pressed telling the difference. Samsung has kept much of the design the same and only small details have changed. The company obviously feels that the familiar look and feel will immediately resonate with Galaxy S III owners, but we would have appreciated a fresh new look. The design changes on the Galaxy S4 may be minimal but most of them are welcomed. 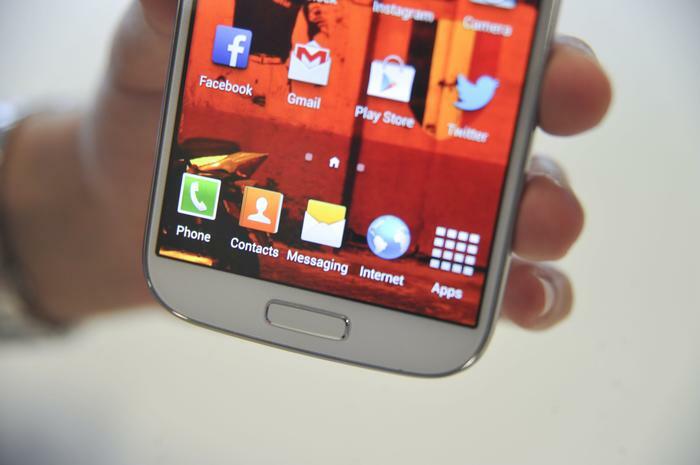 Gone are the curved, back edges of the Galaxy S III, replaced by flat edges and a smaller bezel. The sides of the Galaxy S4 feel much better than the Galaxy S III as they're flatter and squarer. The Galaxy S4 is also thinner and lighter than the Galaxy S III despite a larger screen, so Samsung definitely deserves credit for managing to slim down the case. The Samsung Galaxy S4 has a very similar design to its predecessor. The Galaxy S4 feels like a toy when compared to its biggest rivals, the iPhone 5 and the HTC One. Despite minor cosmetic changes, the Galaxy S4 feels like a toy when compared to its biggest rivals, the Apple iPhone 5 and the HTC One. Plastic may be a durable material but there's no denying that it feels much cheaper than the aluminium body of its competitors. We particularly dislike the look of the silver edging around the sides, which has a brushed-metal look but comes across as a poor looking imitation. The glossy back of the phone is also slippery and this can make it tough to hold. The plastic build of the Galaxy S4 does hold two significant advantages over rival devices, however. The phone has a microSD card slot for expanding the 16GB of internal memory, and the battery is removable. If you store large amounts of media on your phone and you like carrying a spare battery, the Galaxy S4 will definitely appeal to you. The glossy back of the Galaxy S4 is slippery and this can make it tough to hold at times. The Galaxy S4 has its ports and buttons in all the right places. The right mounted power/lock button is perfectly positioned for one-handed use, while the same applies for the left mounted volume rocker. Below the screen is a raised, physical home button that feels firmer than its predecessor. It's flanked by capacitive, backlit menu and back keys on either side, while a headphone jack and IR port sit on top of the device. The Galaxy S4's screen has exceptional viewing angles. One aspect of the Galaxy S4 that definitely can't be questioned is its display. The 5in, super AMOLED HD screen has a resolution of 1920x1080 and offers a pixel density of 441ppi. Like most new smartphone displays, it's bright, clear and displays superbly crisp text. It also has exceptional viewing angles and works well in direct sunlight, though we found the automatic brightness setting was often erratic. Compared directly to the HTC One, the Galaxy S4's super AMOLED screen displays more vibrant colours, though some may consider them oversaturated. All in all, we are comparing apples and oranges here: the Galaxy S4's screen is excellent and is definitely one of the best we've seen on an Android phone. The Galaxy S4's screen is excellent and is definitely one of the best we've seen on an Android phone. Samsung is clearly banking on software innovation to win over consumers. The Galaxy S4 runs the latest Android 4.2 Jelly Bean operating system, but is skinned with Samsung's own TouchWIZ UI overlay so it looks nothing like stock Android. Like the physical design of the phone, the look and feel of the software hasn't changed very much from the Galaxy S III but there are plenty of new features. Not being able to edit the four home screen dock shortcuts is downright ridiculous. The basic interface of the Galaxy S4 is much the same as the Galaxy S III. You can have up to seven home screen for widgets and app shortcuts, there are handy toggles for commonly used features in the notifications panel, including a brightness slider, and you can hide apps in the app drawer or choose to display them in a grid or list format. However, not being able to edit the four home screen dock shortcuts (by default set to phone, contacts, messaging and Internet) is downright ridiculous. 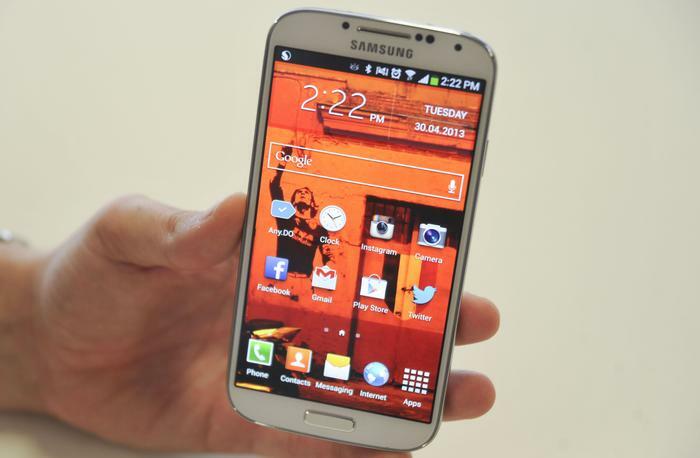 The latest version of TouchWIZ on the Galaxy S4 comes with wealth of new features. Some, like multi-window, you may end up using often. This handy feature allows you to run two apps on the screen simultaneously, though it only works with a selected range of apps. Thankfully, the likes of Google Chrome, Facebook, Gmail and Twitter are included in this list, but many third-party apps aren't. From L to R: The Galaxy S4 home screen, app draw and Samsung's "Easy Mode". When active, the multi-window feature appears by holding down the back button to display a pull-out drawer on the right side of the screen. Annoyingly, you'll accidentally switch this on often, so it quickly becomes a nuisance. One of the best features of the Galaxy S4 is one of the least advertised: the infrared port. One of the best features of the Galaxy S4 is one of the least advertised. There's a small infrared port built into the top of the phone that allows the Galaxy S4 to act as a remote control for your TV and other home entertainment devices. Using the preloaded Samsung WatchON app to set up this function takes less than a minute and the app also includes a free-to-air EPG that shows you what's on every digital TV channel in your area. You then effectively use the Galaxy S4 to see what's on TV, with the ability change to a particular channel using the remote, save favourite channels as well as like or dislike particular programs. There's also an S Translator app that can translate nine different languages using both text to speech and speech to text, 'Group Play', which can send music photos and documents to multiple devices, and an 'S Health' app which aims to replace fitness tracking accessories like Fitbit. A built in pedometer tracks your steps and the Galaxy S4 also includes temperature and humidity sensors. However, the S Health app will work best with an optional accessory called the S Band that syncs via Bluetooth to the Galaxy S4 when you're not carrying the device with you. 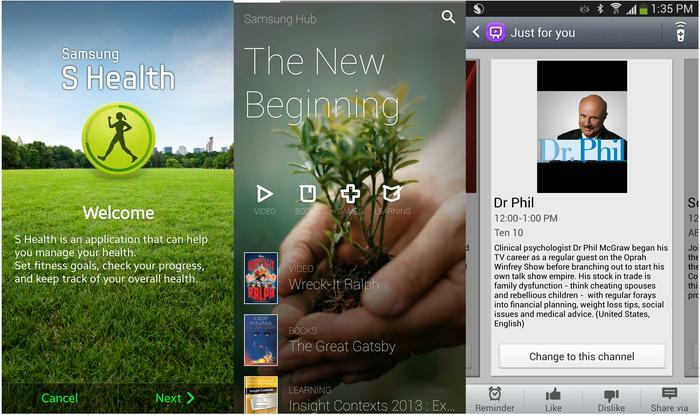 From L to R: The S Health app, the Samsung Hub and the WatchON app. 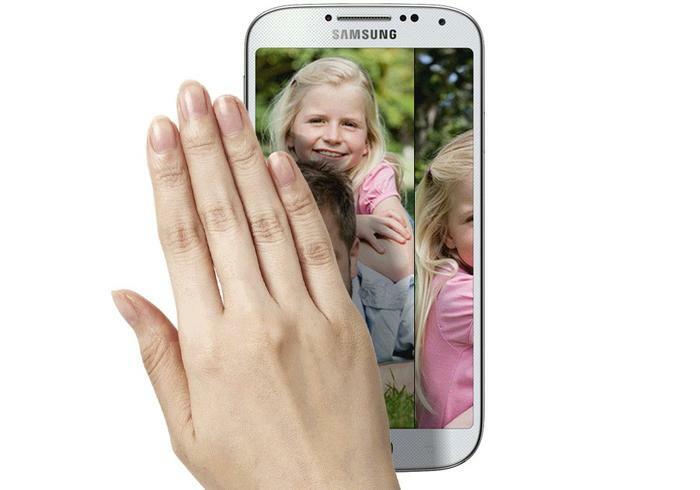 Many of the Galaxy S4's gesture features are significantly flawed. Most of the Galaxy S4's strongly marketed features are party tricks with an initial wow factor that grows thin very quickly. Many of them are actually significantly flawed. Take Air View, which allows you to hover over the screen with your finger to display extra information, such as previewing an email, a Flipboard story or a calendar entry. It only works on a minimal range of apps and we often ended up tapping the screen anyway because the margin for hovering your finger over the screen is very close. Similarly, Air Gesture allows you to swipe your hand over the screen without touching it to scroll up and down a web page or swipe through images in the gallery. We found it very sensitive and it often swiped back when we moved our hand back to swipe forward again. It also only works with a selected range of Samsung apps, so it won't work in Gmail or Google Chrome, for example. Samsung's "air gestures" are mostly gimmicks that you'll never use. The large settings menu is confusing and it's less obvious which settings are in each tab. These extra features really don't add much to the overall package and they make learning to use the Galaxy S4 a longer process than previous models. The quick settings toggle dropdown in the notifications panel is a perfect example. 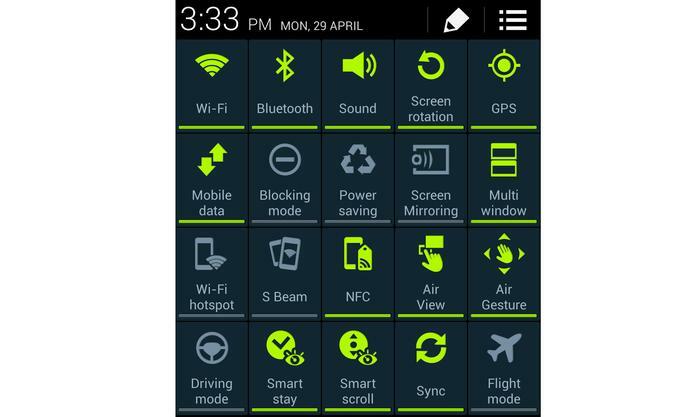 There are no less than 20 toggles for these features and more. The basics, like turning on and off Wi-Fi, Bluetooth and GPS are handy, but the others can be very overwhelming, especially for first time smartphone or Android users. As a result, the settings menu on the Galaxy S4 is substantially larger, so much so that Samsung has now split the menu into four tabbed sections. The layout makes it more confusing and less obvious which settings are in each tab, unlike the standard Android layout. Samsung has included an easy mode targetted at first time smartphone users that enlarges icons, provides some simple shortcuts and hides most other options. It works well but the fact that the company felt it necessary to add this mode in the first place is almost an admittance that the S4's interface will initially be confusing to many users. It's the best camera on any Android phone we've ever reviewed. The camera on the Samsung Galaxy S4 is outstanding. In our experience, it's the best camera on any Android phone we've ever reviewed. Naturally, the camera app is packed with new software features that can be overwhelming at first, but when used on the standard "auto mode" it produces excellent photos with outstanding levels of detail and good colour. You can see some images we've taken here. The weakest aspect of the Galaxy S4's camera is its performance in low light. In these situations, both the iPhone 5 and the HTC One take better photographs with far less noise. The only camera feature that's really a gimmick is dual camera. The Galaxy S4 has 12 camera modes but unlike many of the phone's other features, most of them actually add to the experience. Modes include HDR, panorama and an eraser mode that allows you to remove objects from five consecutive pictures. There's also a night mode, a best photo mode that takes eight photos in quick succession to ensure you capture the best image, drama shot, which takes 100 shots in four seconds, and animated photo, which allows you to pick one part of the photo to move while the others stay still, somewhat like an animated GIF. A sound and shot mode also captures an image with up to nine seconds of sound. The only camera feature that's really a gimmick is dual camera, which allows you to take a photo using the front and back cameras of the Galaxy S4 simultaneously. You can choose to place the picture from the front camera somewhere on the image from the back camera, selecting from a variety of frames. We don't see much of a practical use for this feature and the end result looks like a poor rendition in Microsoft Paint. Dual camera allows you to take a photo using the front and back cameras of the Galaxy S4 simultaneously. 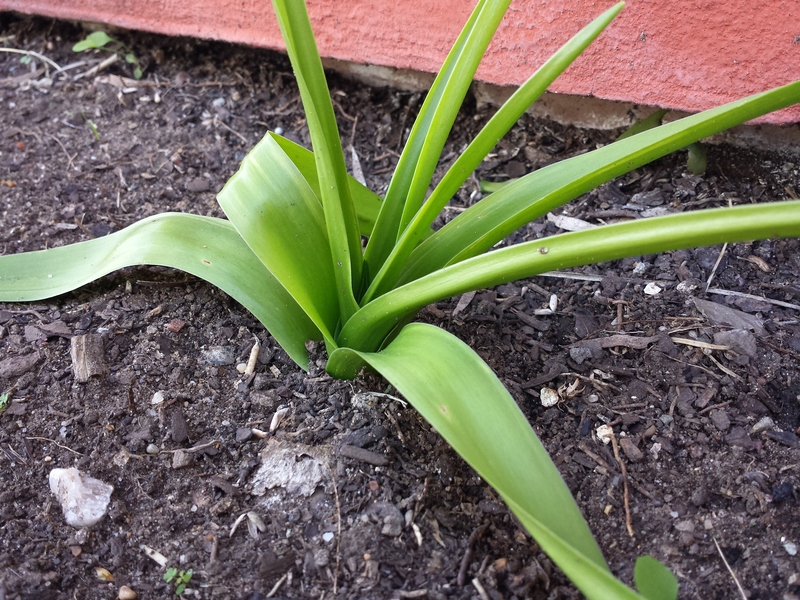 Despite all these extra features the Galaxy S4's camera app remains pretty straightforward and easy to use. We particularly like the excellent scrolling carousel to change camera modes. Some commonly used apps do exhibit some annoying lag. 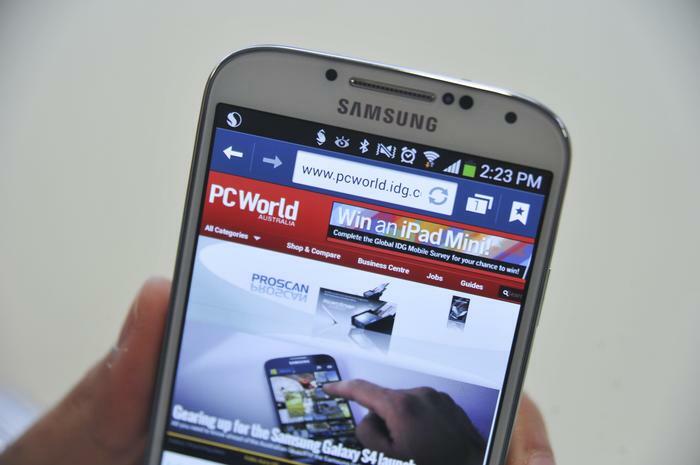 As you would expect, the Galaxy S4 is generally a fast and responsive smartphone. It runs even the most graphically intense games without so much as a stutter and most apps open almost instantly. However, some commonly used apps like the gallery, messaging and phone do exhibit some annoying lag. The gallery can be quite sluggish at times, the on-screen keyboard takes a second or two to appear in the messaging app and the phone app sometimes experiences some slight lag when switching between tabs. These minor delays aren't huge issues, but given the Galaxy S4's impressive specifications they are a little disappointing. 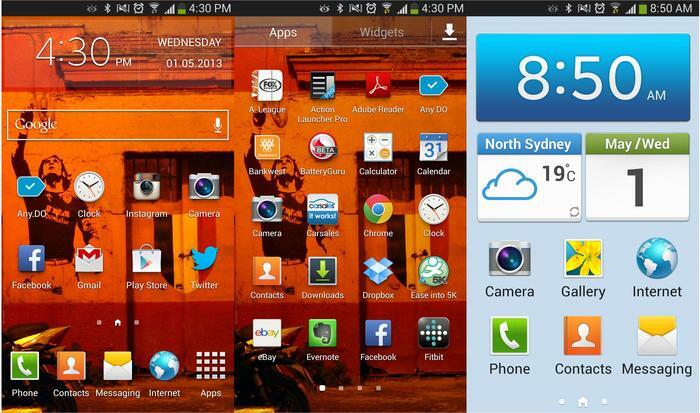 Samsung has produced multiple variants of the Galaxy S4 depending on market but the Australian model works on Telstra and Optus' 4G networks, and will also work on Vodafone's 4G network when it launches in the coming months. 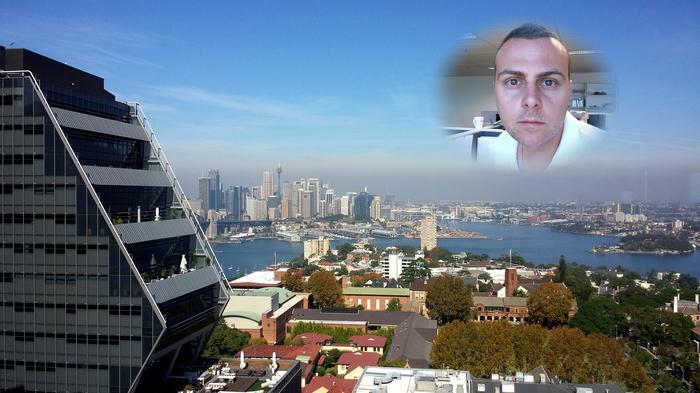 Samsung will only sell the 16GB model in Australia. 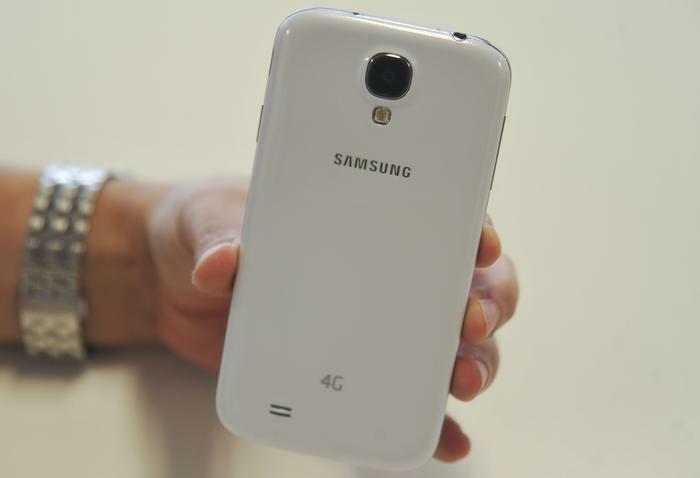 The Samsung Galaxy S4 has excellent battery life for a 4G smartphone. During our testing, it lasted a full day in almost all instances. If you're an extremely heavy user and keep the screen on for lengthy periods of time you may experience slightly less than a full day, but the Galaxy S4's 2600mAh battery is a star performer. The Samsung Galaxy S4 is available now through Telstra, Optus, Vodafone and Virgin Mobile in Australia, while it also sells outright through Samsung Experience Stores for $899. • Where can you buy the Samsung Galaxy S4? • Samsung Galaxy S4 vs. the rest: How does it stack up?